Our wedding wasn’t what we were originally planning. Due to an illness in the family we made the decision, in the course of one night, to change our wedding to 2 months away with 20 guests, instead of 8 months away with 150 guests. The toughest part was that we were living in Manitoba planning a wedding in Langley, BC. 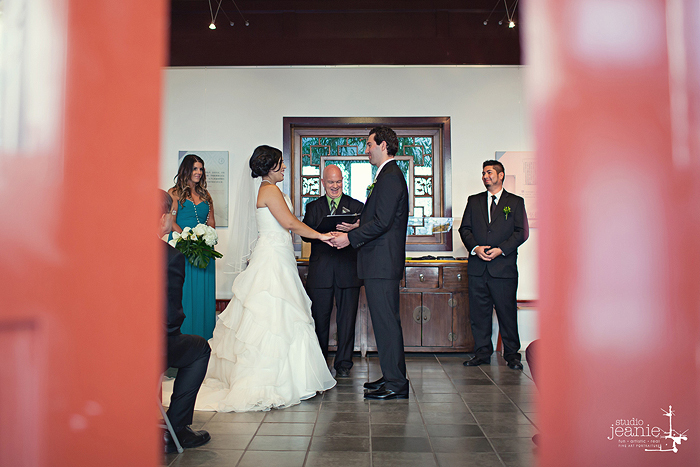 Luckily for us, our amazing photographer (Damara Moe Photography) recommended a FABULOUS officiant, Kevin Fatkin. We decided to take her advice and began emailing back and forth with Kevin. From the very first email, any anxiety I had regarding the man who was to make us husband and wife was eliminated. Kevin was not only incredibly informative; his caring and helpful personality was evident just through email. Over the next few weeks we corresponded back and forth over email discussing different options for the ceremony and even things like decorations. Kevin was clearly trying to help make our wedding planning the least stressful he could, especially knowing we weren’t there to make arrangements ourselves. He even made a special trip to our venue to let us know what he thought our needs would be with regards to the space and set up. It was incredible knowing that such a caring person, a stranger to us before this, was going above and beyond to help us with our wedding plans. Immediately we trusted Kevin to take our wishes into consideration and run the ceremony in a beautiful way. stress-free experience. He also had many ideas that helped make it extra special. We both went to bed the night before our wedding relaxed about vows and knowing that the ceremony would run smoothly. On the day of the wedding Kevin was at the venue before most of the guests had even arrived, preparing for our ceremony. We didn’t have to worry about him at all; in fact he seemed more worried about making the groom relaxed! Kevin is so charismatic and easy to be around that, even with such a small, intimate wedding, it felt like he belonged. Our ceremony was everything we hoped it would be and so much more. Kevin had talked to us before the wedding day about how things never really go exactly according to plan but that the little things are the part you will remember most. Kevin was absolutely right. Everything from my father being super nervous and plopping my hand into my husband’s and forgetting our hug, to getting a lecture about picking on the groom before he was my husband (I picked some lint off his tux), to my ring not going on quite smoothly, I remember and cherish the most. Kevin brought a wonderful balance of humour, seriousness and faith to our ceremony for which we couldn’t be more grateful. 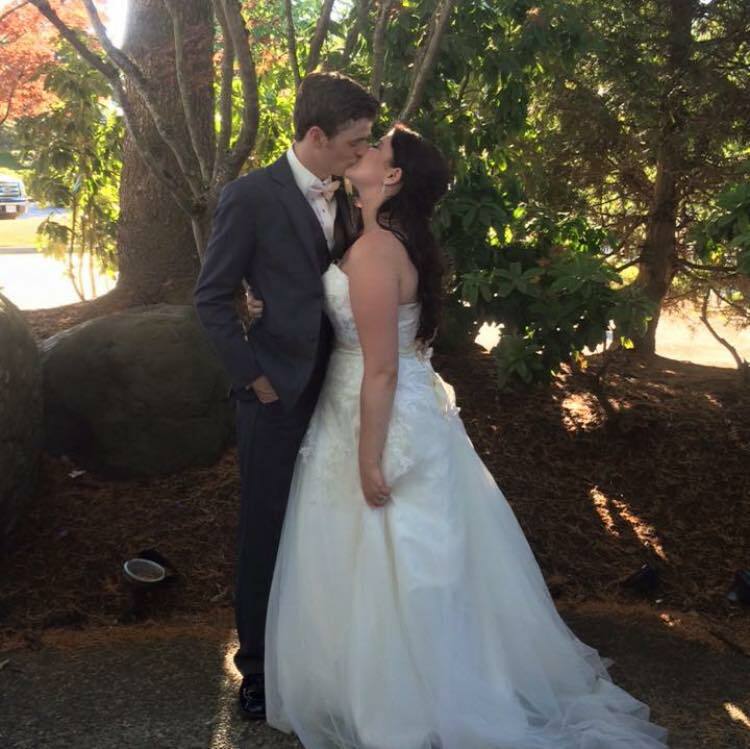 Our wedding was a wonderful day and we have beautiful memories that we will have with us forever. We thank Kevin Fatkin for that because without him, it would not have been the same. ﻿We are so pleased we had Kevin there to spend our special day with us! Finding an officiant was one of the more nerve wrecking parts for us, but he instantly made us feel very comfortable. My family and I are Catholic, while my husband and his family are not religious. Kevin did a great job at customizing a ceremony that was perfect for us. I would recommend Kevin in a heart beat to any friends who get married in the future. Thank you sooo much Kevin!!! We were referred to Kevin by one of our good friends, and we are so thankful that we were able to connect with him! Living in Toronto and planning a Vancouver wedding can come with some challenges, but Kevin made the process so easy and stress-free for us! Corresponding mostly via email until a week before the wedding, when we met Kevin in person, it was like getting together with a good friend. We felt deeply connected with Kevin. He took such a genuine interest in us and our relationship, creating a custom wedding ceremony for us which perfectly honoured and highlighted our cultures. On the day of our wedding, Kevin was a calming force, keeping our ceremony light and humourous, quelling any nervous feelings we may have had. 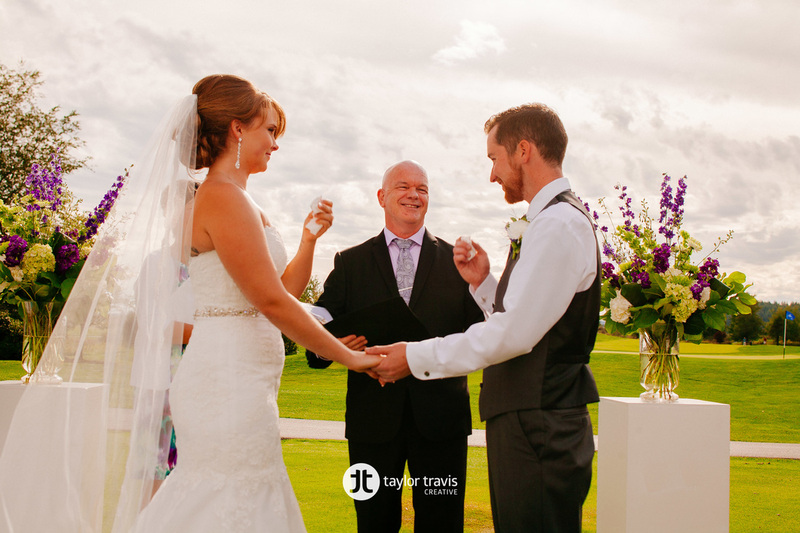 We are still receiving compliments on how well Kevin performed our ceremony and how wonderfully organized it was. Several guests have said it was the most beautiful ceremony they have attended, and this is all thanks to Kevin! We are eternally grateful that we were fortunate enough to have someone as special as Kevin, marry us. (Aug 8, 2016) We loved Kevin and cannot say enough good things about him! He made our experience so memorable and fun, not only on our wedding day, but throughout the planning process. He made us feel extremely comfortable and he had a great personality and sense of humour. We didn't want the traditional ceremony and he let us decide how we wanted it to go. We're so thankful we found him!! Rev Kev is absolutely a warm hearted, easy going Reverend. We had so much fun meeting with him and he came out to our house. He also organized it so that we received our marriage license within 2 weeks of our wedding. Great person, great sense of humour! "My husband and I went into it wanting a simple and fun-loving ceremony without all the fluff but we didn't know how to create it. Kevin made the process very relaxing, going through the requirements step-by-step and providing us with the tools and creative ideas to make the ceremony our own. Kevin was fun to work with from the start, making us feel comfortable and getting to know us as a couple. Even during the ceremony Kevin really delivered the fun and easy-going atmosphere we wanted, making us feel at ease and keeping the guests entertained and laughing! He really helped to create a ceremony tailored to us as a couple and I don't think it would have been nearly as easy and fun without him! Thanks Kevin!" Kevin couldn't have been better for our wedding and the start of our marriage. He took care in everything he did and put great thought into our ceremony and our big day. We met with him several times and after every meeting we got more excited about our wedding and our life together because of our conversations with him. He really is the best of the best and you won't be disappointed! I have been in the event industry for over ten years now. I have since grown my business to where we have the pleasure of assisting hundreds of couples each year, and we service weddings and events from start to finish. Over 90% of our business is generated by happy clients and, therefore, the commitment to maintain outstanding customer service has always been my main focus. I am honored to recommend Kevin Fatkin to marry my couples, and know without a moment’s hesitation that their needs will be met beyond their wildest expectations. Kevin’s natural ability to connect with people makes him truly unique in the wedding industry and although I have worked with numerous officiants in the past, few leave me speechless as to stop and shake my head in disbelief. Kevin’s sense of humor, kind spirit, and attention to detail allow him to connect with not only the wedding service, but also the couple’s entire day. Recently I was assisting a couple who wanted to have their service performed in French, only to later discover that Kevin went on to learn the service in their mother tongue. We were blown away with his desire to make sure their ceremony was exactly as they had hoped. We wanted to thank you so very much for all you did and how you helped us. You made it very special for us!! Thank you, thank you. 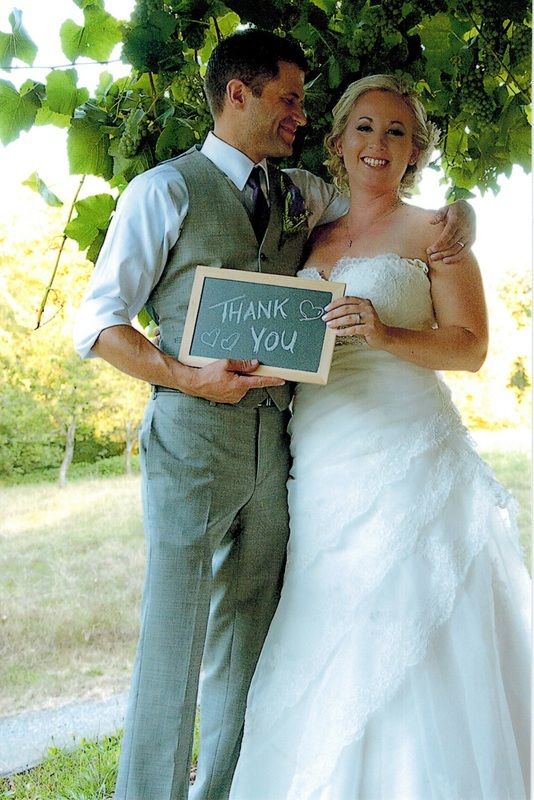 "We couldn't have asked for a better officiant to perform our wedding ceremony than you Kevin. Due to travel schedules we had very little time to pull everything together and rehearse for the lovely, multi-cultural ceremony it turned out be and a lot of that was you! You learned some Farsi for the wedding and were at home navigating between the two cultures as we planned the event. Everyone cried and laughed at least once during the vows and we love seeing your smiling face in our wedding pictures. Unfortunately we won't be able to have you marry us again :) But will recommend you to any couple planning to make the leap! ~ Alex and Farzaneh"
We only had 2 weeks to plan our wedding due my upcoming surgery. So finding a commissioner who would be available on such short notice would be a challenge to say the least. Kevin quickly replied to my email. Upon hearing the reason for our time crunch he bent over backwards to fit us into his busy schedule. Kevin is super warm and personable with a sharp sense of humor so, It didn't take long for us to connect and for him to get a sense of who we are together and as individuals. We had been together for 23 years and it was time. It was to be a very private ceremony on Sept 2 (with our two stand ups and a photographer) in our backyard under the grape arbor. It turned out to be a glorious 32*F no breeze! Champagne toasts to follow. He customized his words so specifically to our relationship making our ceremony incredibly romantic and magical. I have to say we all got pretty emotional but there was also plenty of spontaneity and fun   Lol. It is certainly a day to remember which we will look back on fondly for many years to come. It's easy to see he is an incurable romantic and thoroughly enjoys his calling. Thank you, Kevin, you made it great!